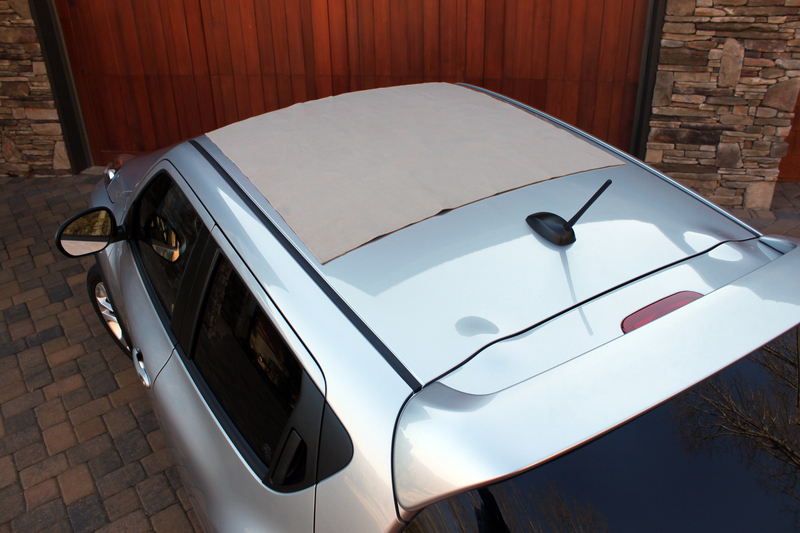 The Rightline Gear Non-Skid Roof Pad sits under your car top carrier on the roof of your vehicle. It is designed to prevent your carrier from shifting on the roof of your vehicle and to protect the roof from damage caused by sharp-edged objects inside of the carrier. The pad’s size is 36″ W x 36″ L. It will fit under our larger car top carriers: Sport 3 (40″ W x 48″ L), Sport 2 (36″ W x 44″ L), and Edge (36″ W x 40″ L). The pad’s non-skid properties are so strong that it does not need to cover the entire underside of the carrier to hold the carrier in place. The pad will need to be cut to size to fit under our smaller car top carriers: Sport 1 (34″ W x 38″ L), Sport Jr (30″ W x 36″ L), Ace (34″ W x 44″ L), and Car Top Duffle Bag (16″ W x 36″ L). It is important to be aware that a pad sized larger than the carrier may flap in the wind, creating unwanted noise. Remember, you will be driving 70mph plus down the highway. The huge amount of air flowing over the vehicle at that speed can easily catch the loose edge of a pad. If the pad sticks out from under the carrier, it will not be damaged, but you may experience a humming noise that can grow annoying as your trip goes on. When using the larger car top carriers, place the carrier 1-2 inches over the front edge of the pad. When using the smaller car top carriers, you may want to cut the pad 1-2 inches smaller than the carrier’s dimensions to be able to position it fully under the carrier. 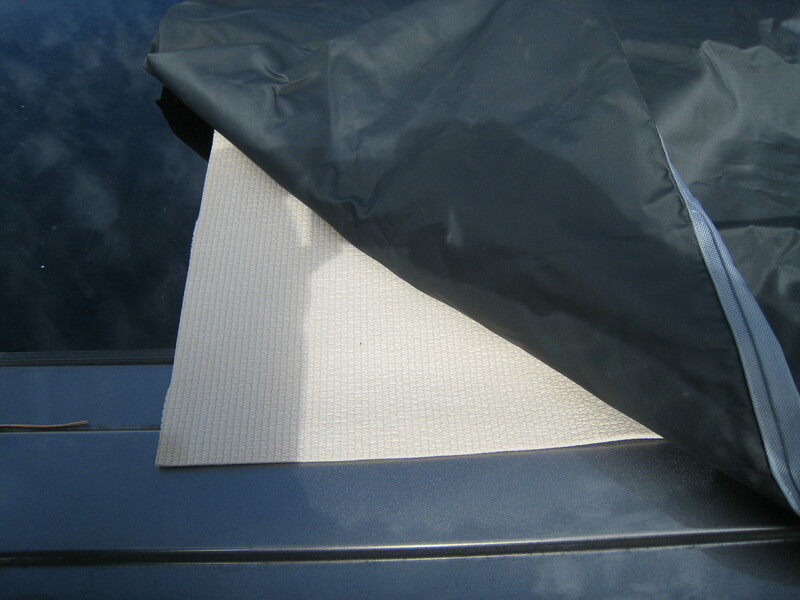 Following this tip should eliminate any type of noise related to the Non-Skid Roof Pad. Your trip should be quiet and relaxing!